Visiting Kuta Lombok, Another Lombok's Best Destination! Since Lombok is the second most visited island in 2017, it must be there some reasons. Here I’m gonna talk about another spectacular place in Lombok. It’s Kuta Lombok. Anothe Kuta is also found in Lombok. Located in Central Lombok, southcoast. 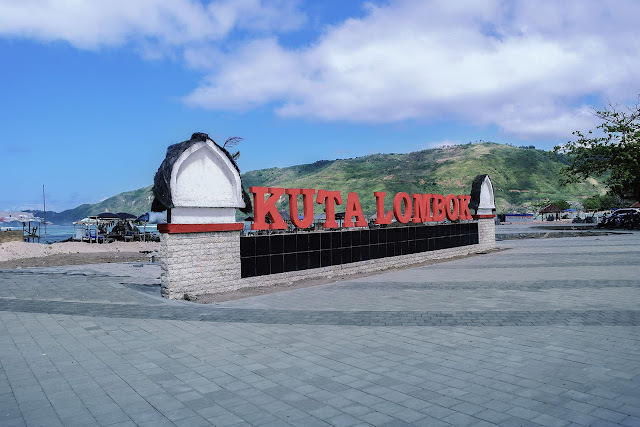 Kuta Lombok is located in southcentral of Lombok. It’s about 20 minutes away from International Lombok Airport (LIA). It is quieter than the other places in Lombok yet it has spectacular waves that you can surf at. Most visitors are surfers (as far as I know) and they love the waves. Besides the waves Kuta also has green transparent water that you can see corals and reefs. Snorkeling is one of the favorites. Kuta Beach is surrounded by hills and cliffs. I’ve been there for many times and the sensation during climbing the cliffs was truly challenging. But it’s just an option for you who love challenge. Swimming on the beach is a must-do thing. The clear water with white sand will give you the best experience in Kuta Lombok. Moving off the beach, you will find many restaurants and warung that provide variety of foods. The prices are affordable for backpackers. Kuta is in under-development. Facilities being constructed and also the opening of new routes is ongoing project. Visiting Kuta is quite easy. You can find accommodation from Lombok International Airport directly to Kuta. The metered taxi usually is available. Or you can contact many tour agencies in Lombok that provide shuttle. One of the best recommended is APW Tour.